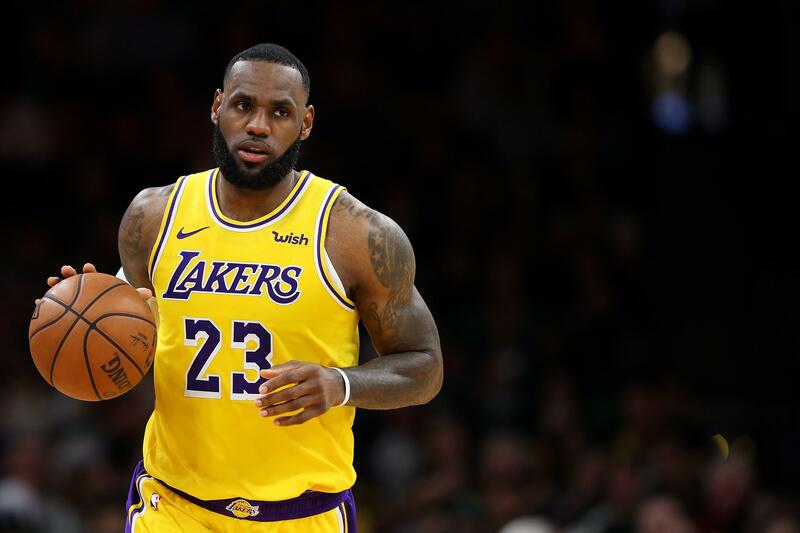 Before LeBron James got hurt on Christmas Day, the Los Angeles Lakers seemed to be well on their way toward making the playoffs. After the NBA’s best player missed over a month of action with a groin injury, L.A. now has some work to do in order to reach the postseason. It isn’t just that the Lakers are the No.10 seed in the Western Conference with only a few days left until the All-Star break: Los Angeles has the most difficult remaining schedule of any team that’s fighting for the West’s final playoff berth. That fact makes the Lakers’ upcoming stretch of games all the more important. After playing five playoff teams in their last six contests—Los Angeles went 2-4 after getting blown out by the Philadelphia 76ers Sunday—the Lakers will get a bit of a reprieve. Five of the team’s next seven opponents are almost certain to miss the postseason, giving James and Co. a chance to gain some ground on the teams ahead of them in the standings. The No.9 seed Sacramento Kings are two games up on the Lakers, and Sacramento is a half-game behind the L.A. Clippers for the No.8 seed. The San Antonio Spurs a half-game ahead of the Clippers. The Lakers will visit the Atlanta Hawks Tuesday night in their final game before the All-Star break. Trae Young and John Collins have proved to be exciting young players for the Hawks, but Atlanta remains 20 games under .500 and a non-factor in the East. Los Angeles faces a tough test immediately following the All-Star break when they return home for a game with the Houston Rockets. The Lakers will then play on the road against the New Orleans Pelicans (Feb. 23) and Memphis Grizzlies (Feb. 25), both of whom traded one of their best players at the deadline and are near the bottom of the conference. L.A. will host New Orleans on Feb. 27. Their first game of March will be the Lakers’ most difficult matchup during this stretch. Los Angeles is scheduled to host the Milwaukee Bucks, who have the NBA’s best record. One night later, the Lakers will visit the worst team in the West. The Phoenix Suns have just about secured last place in the conference with 47 losses in their first 58 games. The Lakers will follow that seven-game stretch with three straight games against current playoff teams. Because of the way the Lakers fell apart in James’ absence, Los Angeles can’t afford to lose many more winnable games. Suffering a few upsets during this upcoming stretch will certainly increase the chances of the Lakers missing the playoffs for a sixth straight year.